Anyone who has written a wedding toast, dated long-distance or picked up an old magazine in the salon has come across that dreaded question: How do you keep the romance alive? 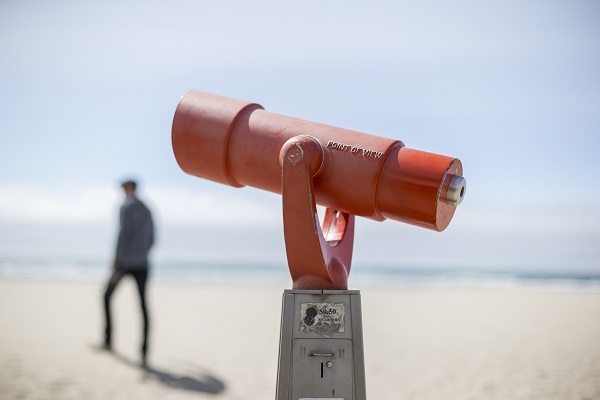 Worse, perhaps it included the words “spark” or “flame.” Whatever—the point is, it’s nearly impossible to escape the idea that by simply going to work and living your life, you’re letting your relationship die a slow death by Netflix and sweatpants. This is the time of year when people make resolutions to not be so lazy in their relationships, when Facebook showcases your high school nemeses making staged romantic gestures to their significant others. But romance doesn’t have to be all candles and diamonds and chocolate and champagne (though to be clear, those don’t hurt). Sometimes all it takes to increase the romance is getting away from the same old scene. Here are some options to amp up the passion, whether that’s in a small town, at the coast or in the mountains. 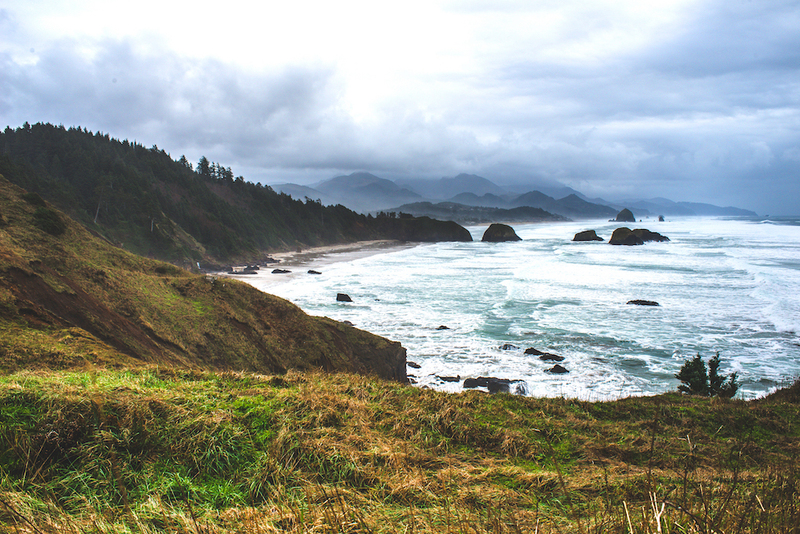 Port Orford often goes unnoticed on the southern coast of Oregon, but it has just as much or more natural beauty to offer, plus all the rain to justify staying cozy indoors. The town is teeming with small art galleries and shops, as well as the usual outdoorsy birding, fishing and hiking. Nearby, Cape Blanco State Park offers jaw-dropping ocean views and a lighthouse that sits on the westernmost point of Oregon. If your sweetie likes history, this is your spot. This is the site of a Japanese bombing during World War II, which was designed to start a forest fire and challenge the resolve of American forces. There’s year-round camping available at the park, but if you’re looking for more of a treat, check out WildSpring Guest Habitat, a private, secluded resort on five forested acres. 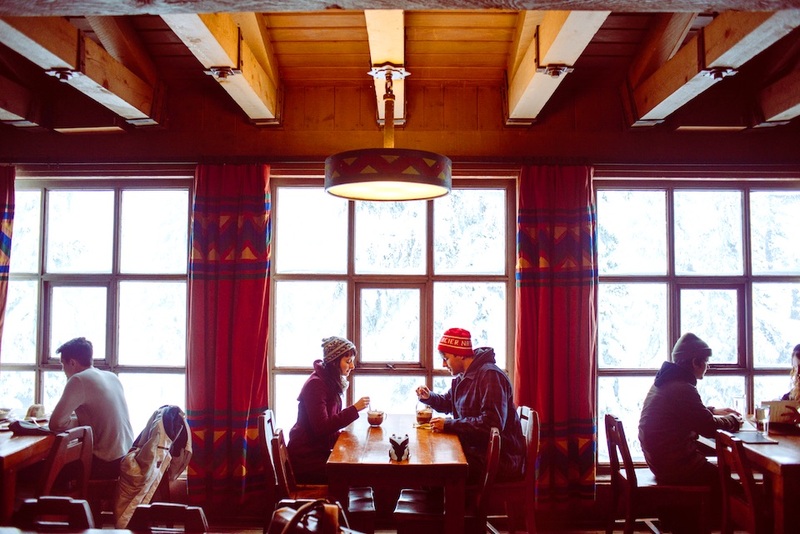 Each private cabin suite is a little different, but all have the same amenities: radiant-heat floors, wi-fi, massage table, hiking guide … the list is exhaustive. You can book a private massage in your room, grab a DVD or a snack from the guest hall (including, yes, chocolate) or wander the trails and check out the forested labyrinth. A breakfast buffet with ocean views? Try not to hold hands. Evening dip in the open-air spa? You’re probably going to make out. Sustainable souls will swoon, as WildSpring is eco-friendly, with zero carbon footprint. Two hundred sixty miles north, Ecola State Park stretches out just north of Cannon Beach and provides perhaps the most beautiful views of the northern coast. The park features 9 miles of coastline and trails through forest and to viewpoints that will take your breath away. At this time of year the crowds are fewer and the area feels more intimate. 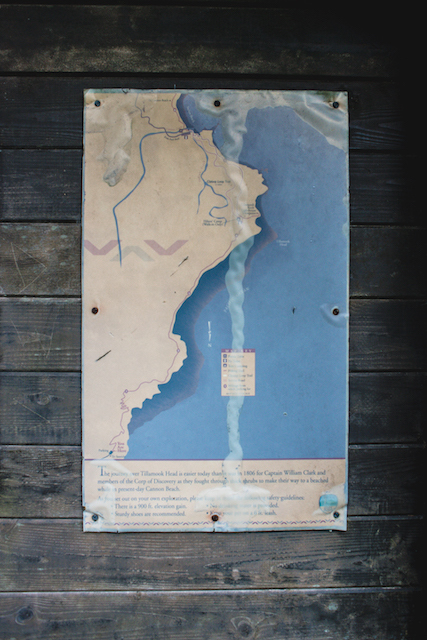 Hike nearby Tillamook Head, a 6-mile moderate challenge that, halfway through, deposits you in a spot where you can see miles of coastline. After the hike and a long walk on the beach, head over to the Stephanie Inn, a jewel of a hotel in Cannon Beach. The Stephanie Inn has oceanfront views, Jacuzzi bathtubs, a gas fireplace in every room, and one of the best restaurants on the coast. You’ll forget all about the association you have between Haystack Rock and The Goonies. There are also picture-perfect sunsets, excellent restaurants such as The Bistro for a steak and seafood dinner and, if the rain holds off, the opportunity to cuddle up to a bonfire on the beach. In Ashland, book an inspiring performance at the Oregon Shakespeare Festival. Perhaps milady will honor an offer that is timely proffered. Tickets start at $30 and shows begin in February. 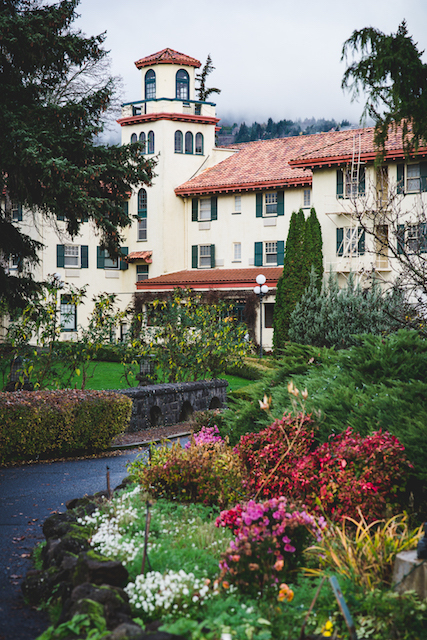 For added glamour, stay at the Ashland Springs Hotel, a restored 1920s-era spot right in the thick of the vibrant, historic downtown. 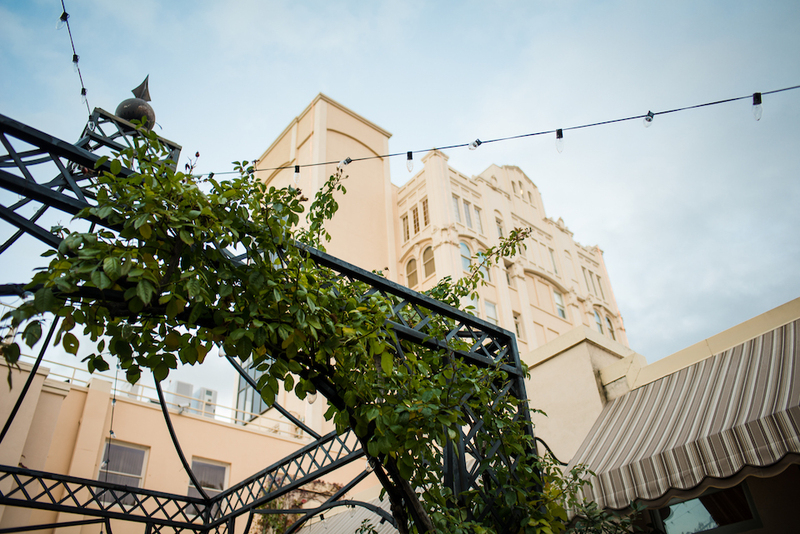 Downtown is virtually free of chain stores, so finding something unique and more boutique for your sweetie is as simple as taking a stroll. Don’t forget that Ashland was named one of the top ten international wine travel destinations in 2016 by Wine Enthusiast. Get a $25 wine passport and head out on the Bear Creek Wine Trail, a group of twelve wineries just about fifteen minutes outside Ashland. You can get three tastings at each winery. Better yet, sit back and let Allaboard Trolley Tours do the driving for you. 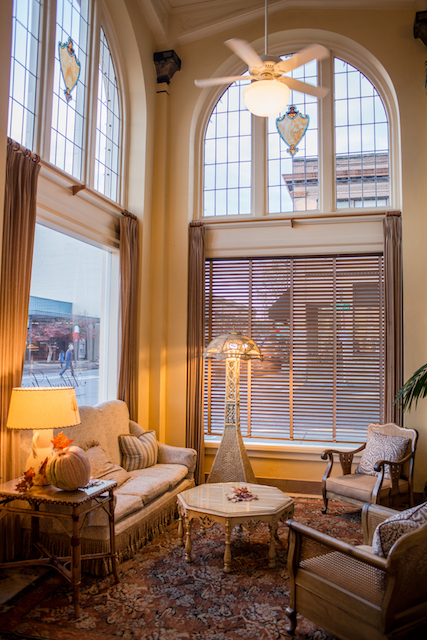 There are two Waterstone Spa locations nearby to round out the weekend—one in downtown and another just a few minutes out of town at Lithia Springs Resort. The spa has packages for couples, including one that starts with a private soak in a tub and is followed by massages and a steam. 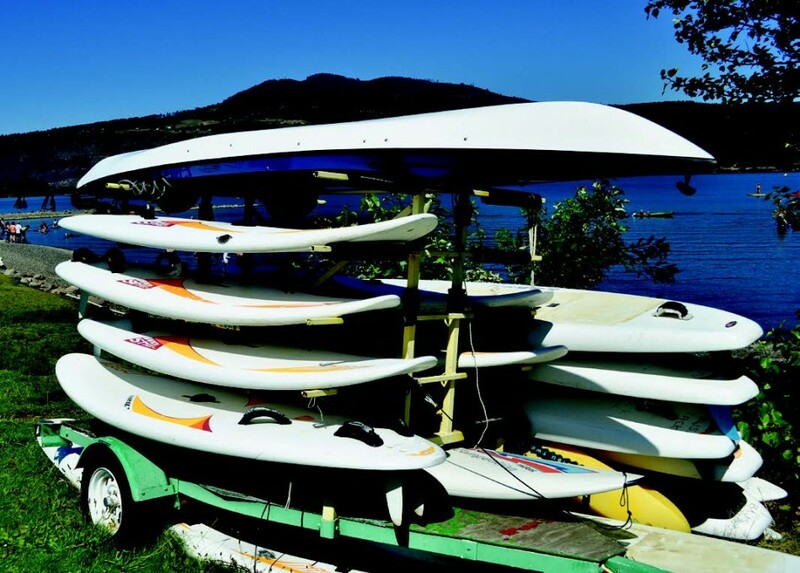 With windsurfers, top-notch breweries and a charming downtown, Hood River in the Columbia River Gorge might be just the ticket to rekindle your romance. historic spot on a bluff with gardens and views of the river. There’s a spa on site for a relaxing retreat—a massage and a body wrap can help anyone forget whose turn it is to unload the dishwasher. If waterfalls don’t stoke the romance, nothing will. Multnomah Falls is 30 miles west of Hood River, but you can skip the crowds and check out some of the more hidden gems along the Historic Columbia River Scenic Byway. There are twenty-six waterfalls tucked away throughout the gorge, including the aptly named Bridal Veil Falls. 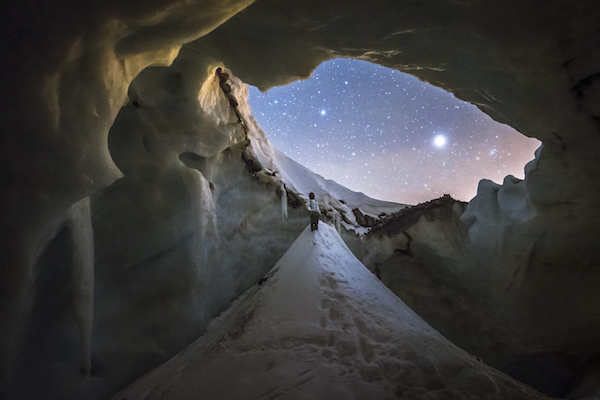 Take a wintry hike or view some of the cascades from the comfort of your car. 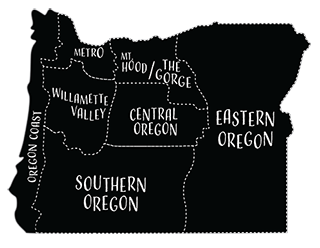 Hood River has a burgeoning wine scene, no doubt. There are twenty wineries in the area alone, but its breweries are a must-see too. If you and your partner have a difference of opinion on which Oregon-made beverage is better, you can mix it up. Check out Double Mountain Brewery Taproom, a very small spot with some very big beers—and good pizza, should that be on your romantic getaway to-do list. 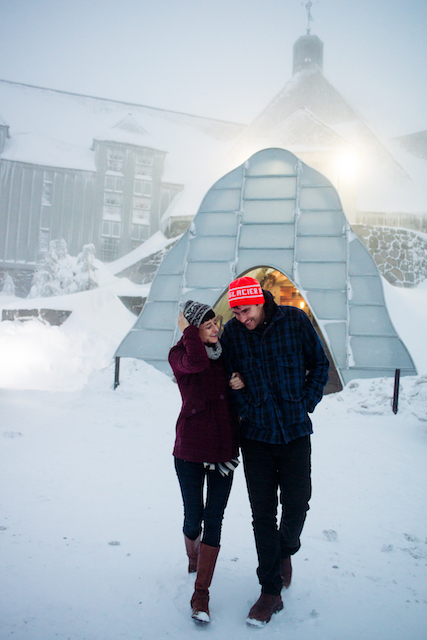 There’s just no more iconic building in Oregon than Timberline Lodge. Built by the Works Progress Administration in the 1930s, it sits at 6,000 feet on Mt. Hood and is a national historic landmark. A tribute to the craftsmen who built it, the lodge remains an exceptionally cozy retreat for couples looking to get away from the daily grind. The lobby is built around giant fireplaces that make it nearly impossible to keep cold the cockles of your heart. Sit next to one with a board game or a book, and make a day of looking out the window at all the snow from the comfort of the Ram’s Head Bar. An outdoor, heated pool is open year-round, and the feather beds welcome you after a dinner of Oregon bounty in the dining room. 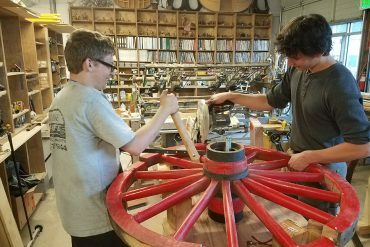 From Timberline, there are many ways to get your winter recreation fix with skiing, snowboarding and snowshoeing just out the door. But if you’re looking for snow activities that put you in the same vehicle, head down to Mt. Hood Ski Bowl in Government Camp (seven minutes away) for tubing or to Snow Bunny or Trillium Lake Sno-Park for sledding spots. If you’re looking for a truly rustic experience, check out Camp Sherman. 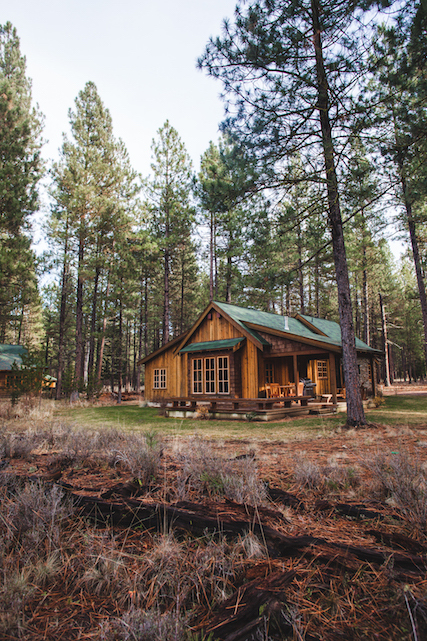 Nestled against the Metolius River about a half hour northwest of Sisters, cell service is spotty, so you’ll have to focus on your partner instead of your phone. Lake Creek Lodge has cabins available year-round, many of which have fireplaces and some originals dating back to the 1920s. If it’s just not romantic without your pup, many of the cabins are dog-friendly. They may appear rustic from the outside, but many are stocked with amenities such as stainless steel appliances and washers and dryers to clean up after long days out in the elements. 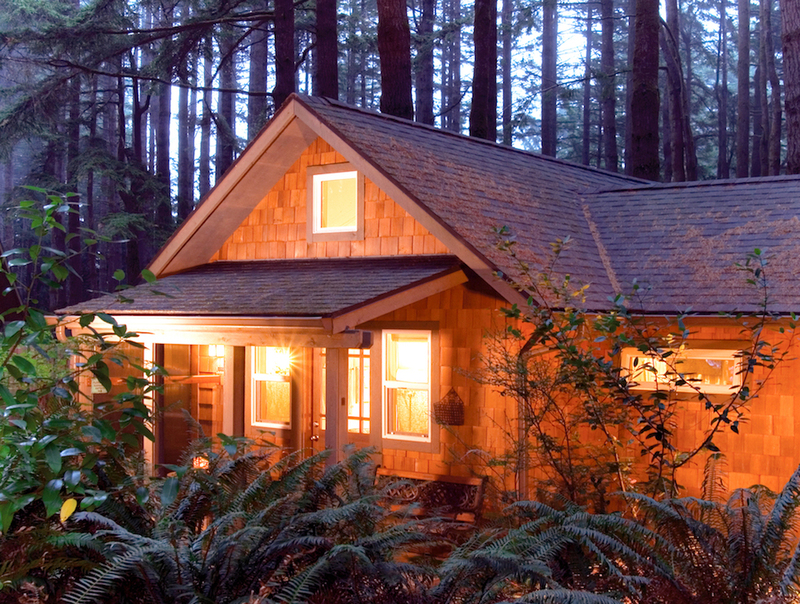 Take a good bottle of Oregon sparkling wine and candles to set that night’s mood for a cabin romance. In the winter especially, Camp Sherman is quiet and serene. Take a short, easy hike to the headwaters of the Metolius or swing by the Camp Sherman Store and Fly Shop for the essentials. 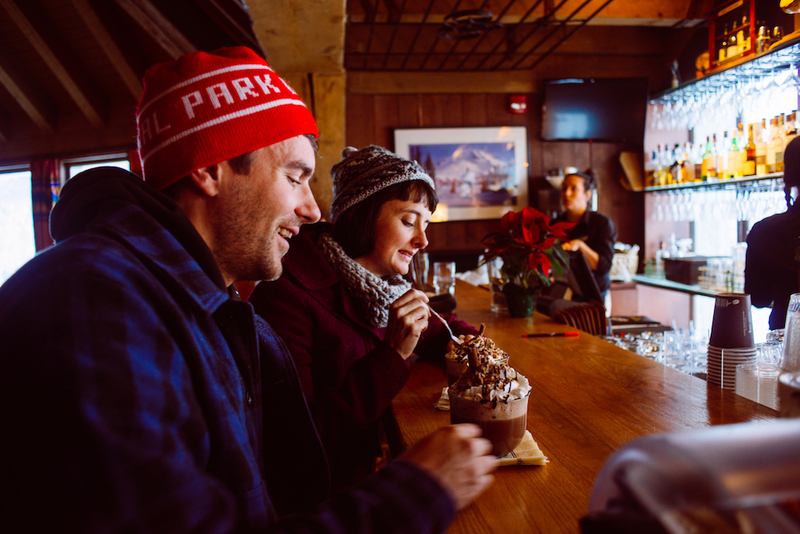 The Kokanee Café closes in winter, so come prepared with your favorite gourmet foods. The nearby civilization of Sisters is a relaxing setting for browsing antique and quilting shops or adding more nights to your romance at the FivePine Lodge. FivePine has all you need for a great day right on-site—a movie theater, a brewery, a spa and an athletic club. 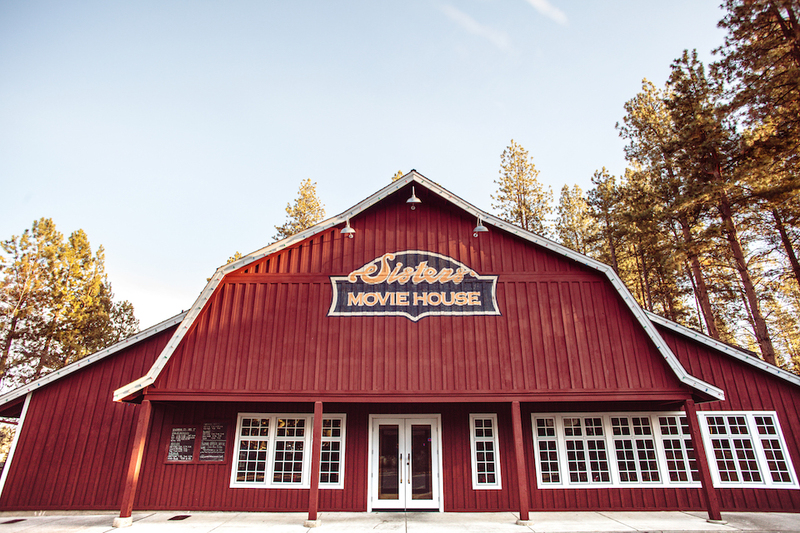 FivePine also offers an ultimate romance package, complete with two nights in the romance cabin, a couple’s massage, tickets to the Sisters Movie House, a romance basket with sparkling wine and other treats. Get into the groove for your trip for two with our Romantic Getaway Playlist. Need more ideas? 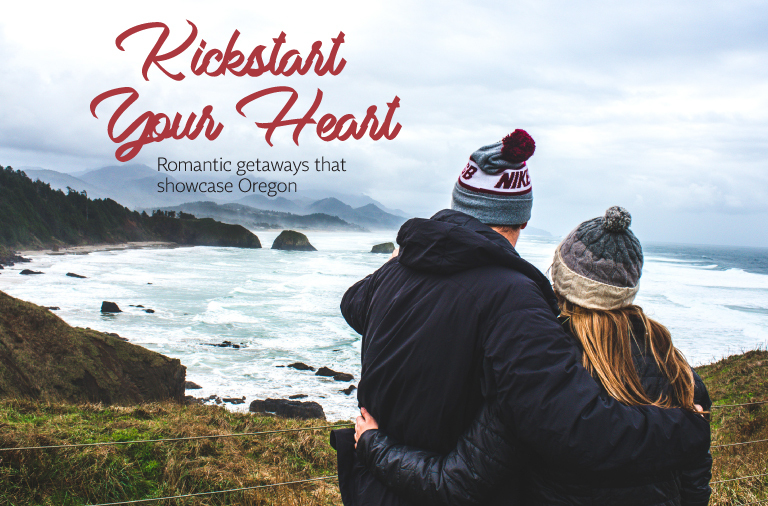 Check out some more of Oregon’s most romantic getaways.